This is one of these places in Tobago where you don’t need to be a photographer. Any picture you take here is going to look good. This beach has everything including a nice surrounding with a river entering the sea, rocks, an unspoilt background and so on. It’s a bit of a drive to reach located between Parlatuvier and Charlotteville, but even the trip itself is – as with most – already worth going. 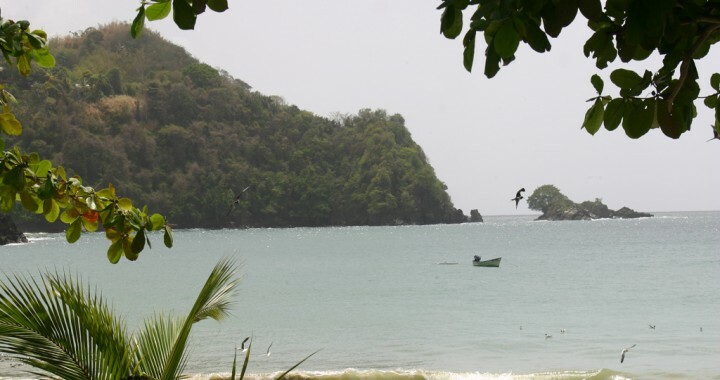 You can take the route over the north and the south side of Tobago to reach Bloody Bay. If you take the south side you can either make a circle through Charlotteville or make a short cut through the rainforest, which leads you straight to Bloody Bay.